Lake Eufaula (Walter E. George) Reservoir is well-known for its excellent largemouth bass population, as well as an outstanding hybrid striped bass fishery. Lake Eufaula is a fisherman's paradise, with over 600 miles of shoreline, there's plenty of cover for fish to hide in. The shoreline ranges from vast expanses of sandy beaches to rocky bluffs. In many areas, trees were left standing when the lake bed was flooded. Any experienced fisherman knows this is perfect cover to find fish. Crappie, white bass, catfish and black bass in the lake reach record size. Being more situated in the warmer part of the state, fish have a longer 'growing' season. Lakes farther north freeze over and the fish enter a more dormant, winter cycle. Not so on Lake Eufaula. The lake rarely freezes over and this makes for great fishing, even in the winter time. Three rivers, the North Canadian, South Canadian and Deep Fork feed the lake. Basically, the lake is considered to be shallow. But the shoreline includes a lot of brush, flooded willows and stumps. The bottom of the lake bed ranges from rock and boulders to sand and mud. 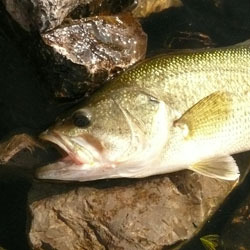 Predator fish, like bass and crappie, feed on smaller bait fish. Bait fish hang out around cover for two basic reasons: food and safety. Therefore, bass and crappie lurk around cover also, because that's where their food supply is. Fishing Lake Eufaula is fun and challenging. Finding the fish isn't too hard, even though there's a lot of cover for them to be hiding in. Knowing that fish like certain temperature water tells me to look for cover in that temperature range. There's a variety of baits that work for catching fish. For black bass, plastic bodies, crank and spinner baits are very popular on Lake Eufaula. Crappie are caught on the popular jig with plastic bodies as well as chenelle and feather. Sometimes jig size and color makes a difference whether you catch crappie or not. An 1/8 oz jig is popular and two color combinations are popular: blue and white and black and chartreuse. Catfish are taken using cut shad for bait. Drifting for cats along sand bars is popular method among die hard catfisherman. Discover Oklahoma's best kept fishing secret. Fish Lake Eufaula where fun and excitement await you! David L Tinney is an avid fisherman and web property developer. 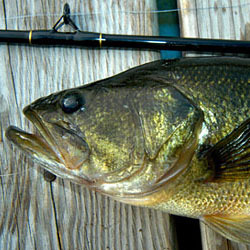 More information about fishing Lake Eufaula can be found at Lake Eufaula Fishing. Each detailed map provides depth, contours, structure, boat ramps, and updated fishing information. 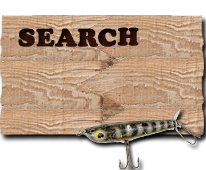 Lake Eufaula fishing maps also include lake info such as gamefish abundance, forage base, water clarity, weedline depth, bottom composition, complete latitude/longitude grid lines and dozens of GPS waypoints & coordinates.